Today we are announcing a refresh to our brand identity. I wanted to share a little bit about the creative thinking behind the visuals and how we are looking to apply it as we transition from our existing ‘NU’. Firstly, we are changing our name from Newlife Uniting Church to Newlife Church. Most people who know our church refer to us as Newlife. We have been known as Newlife since October 2006 when we changed our name from Robina Surfers Paradise Uniting Church. Since the launch of our ‘NU’ branding in 2013, the NU ‘Bug’ has become quite a well recognised icon within our neck of the woods and any content carrying that symbol has been quickly recognised as Newlife. So much so in fact that people often refer to us as Nu Life, Nulife Church or just N-U. This was an unexpected challenge for us due to the impact of the NU logo. Our new branding helps to resolve some of that inconsistency. Generally, when people talk about brands, they tend to reduce names to their most basic identifier. For us, that’s Newlife. Newlife has a number of different arms which engage our community, such as Newlife Church, Newlife Care and Newlife College. 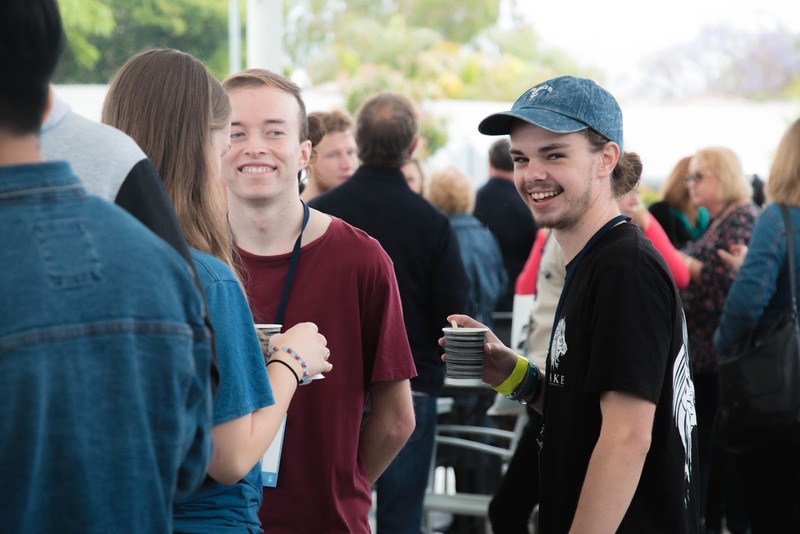 In addition to this we have multiple locations starting in 2019 with Newlife Gold Coast and Newlife Brisbane. By God’s grace we will continue to extend our Newlife family further in the future. We now have over 40 different ministries and programs through which we engage our church family and the wider community. Consistently communicating such a multi-faceted, multi-layered expressions of church life and ministry can sometimes prove difficult. We are constantly looking at how we can do this better. Our design and communication philosophy is to keep our branding simple and understated, so that it can support and stand alongside the unique creative expression of our individual communities. Leonardo Da Vinci is quoted as saying that “Simplicity is the Greatest Sophistication.” This is a great mantra for us. In terms of our visuals, we’ve taken our lead from the clean, uncomplicated and classic look of large universities that celebrate such wide and diverse cultures of expression and thought under their banners. A professor of mathematics and an art student are equally proud to don a Harvard jumper on a cold winter’s morning. We want our brand to be accessible to kids, youth, young adults, parents and retirees. For this reason, less is always more. What’s the deal with the circles? Borrowing from our brand philosophy, this new logo is classic and clean, allowing us to easily stamp our identity on the diverse creative expressions of all our communities. The circles represent 4 ideas. 1./ The design is trinitarian. Father, Son and Spirit. In a 2 dimensional space, the varying thicknesses suggest more dimensions beyond what we can see. 2./ The N obviously represents Newlife. Placing the N within the circles gives the nod to a sermon series our Lead Minister Stu Cameron gave earlier in the year, expounding the ideas found in Skye Jethani’s book ‘With.’ We can choose to live lives from God, for God, above God or under God. But God actually calls us to live a life WITH God, being found in relationship with the Father Son and Holy Spirit. Everything we do as a church should be centred in Him. 3./ We have often used circles to speak into the culture of our church community. We believe for example that life is done better in circles than in rows. It is a key discipleship theme in our community and the reason we encourage everyone that calls Newlife home to be involved in a small group. As we getter bigger, we need to get smaller. All this speaks to our vision of More People, More Like Jesus. Thanks for reading this far! Click here to view our updated website. Awesome Craig and team ! Love the new logo and all thought behind it ! We echo what Liz Martin said. Thank you for your time, energy and thoughtfulness in pulling together this new brand. We love it. Well done team. You’re awesome. (Oh, is this too much…? I’m so not used to this social media stuff and it’s protocols, he, he). It’s really great. Love it and the thought and process behind it – a lot of thought and hard work has gone into this – as with everything you all do. And well said Kimbra – I definitely concur!